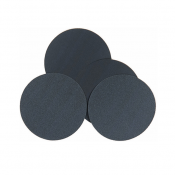 Full resin bonded silicon carbide abrasive paper velcro discs. 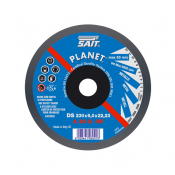 For dry use operation with sanding machines on: marble; granite; fibre glass; plastic materials; glass. 125mm at 40,60, 80, 120, 180, 220,320, 400, 500, 600, 800, 1,000 and 1,200 grits.